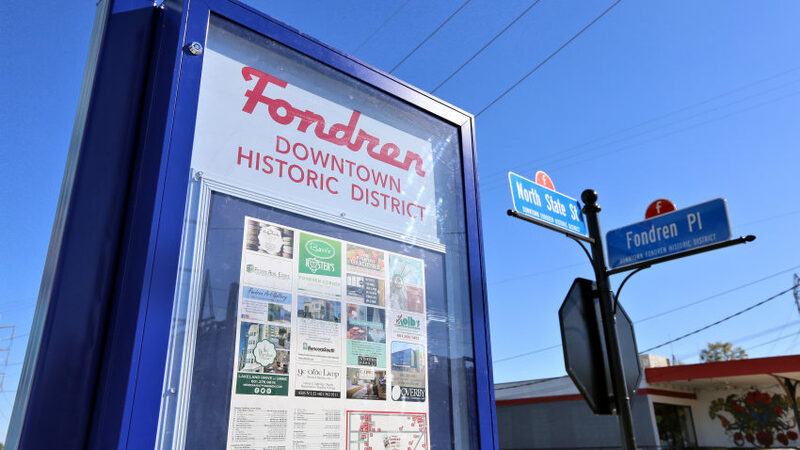 Improved signage and neighborhood directories are part of the recently completed sidewlak project in the downtown FOndren historic district. Fondren is open for business again. No, but many shoppers and diners fled their favorite neighborhood spots while construction projects were underway in the past twelve months. I get it: when the streets are rough or parking in front of your favorite store is blocked, it’s easier to justify moving on to another choice. But that mindset has hurt business here. I’ve heard countless stories from our locally-owned shops and restaurants that 2018 has been a rough year. With the Christmas shopping season underway, keep Fondren in mind. Gone are the rough roads (Duling Avenue and Fondren Place got fresh asphalt last week, even that crater on Morgan Place got a patch). Restriping of the entire business district is coming, sidewalks are wide and smooth, new ADA compliant crosswalk signals are up and the general aesthetic of the neighborhood is fresh and inviting. What does that mean for you? Ease of access. I’ve heard it said that there’s a parking problem in Fondren. I contend there’s a walking problem. With numerous side streets and large lots, a three to five-minute walk isn’t a chore for most. And, it gives you a chance to check out all that’s been done here. If unique offerings with personalized service are high atop your holiday wish list, you won’t find that on a screen. Plus, most of our shops gift wrap for free. And, all of our restaurants, bars and bakeries have the perfect, one-size-fits-all gift for anyone on your list: gift cards. I’ve been in this neighborhood for eleven and half years. I contend, through all the growth we’ve seen, this is one of the most exciting times to be a part of Fondren. I’m excited for you to rediscover “Jackson’s Hippest Neighborhood™” and invite you to see it firsthand. Paul Wolf is publisher and founder of Find It In Fondren®.